A US senator has hinted at regulating Facebook after the leak of a memo in which an executive acknowledged the social network could kill people. Andrew Bosworth defended growth at any cost in the 2016 internal memo. The spectre of government regulation is looming for Facebook. In the 2016 memo, which was leaked to BuzzFeed News, exec Andrew Bosworth (known as “Boz”) discussed the “ugly” side of Facebook’s growth. “Maybe it costs a life by exposing someone to bullies. Maybe someone dies in a terrorist attack coordinated on our tools,” he wrote. The publication of the memo is the latest in a series of bruising news cycles for Facebook. The company’s privacy practices have come under serious scrutiny following the Cambridge Analytica scandal, in which a political research firm were able to obtain data on around 50 million users. And revelations about the platform’s misuse by Russian political operatives during the 2016 US election have tarnished the social network’s once-rosy public image. In the wake of Cambridge Analytica, there has been some talk of increased government oversight of the social network. 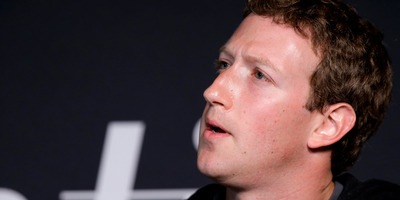 CEO Mark Zuckerberg has expressed some openness to the ieaa in some areas, saying he would support the proposed Honest Ads act. The tweet from Senator Ed Markey, a Democratic senator for Massachusetts, doesn’t mean regulation is right around the corner. But it’s indicative of how public and political attitudes towards the company are shifting. Democrats have historically been staunch supporters of the tech industry, but are now openly talking about the possibility of reining it in.